Donations for these items are being accepted to supplement the weekly backpack program Food For Thought. 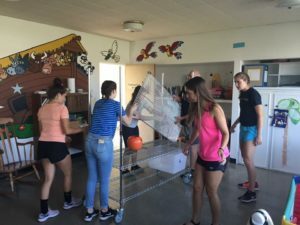 Items may be dropped off at the YS High School main office or at Luther Memorial Church located beside the high school. 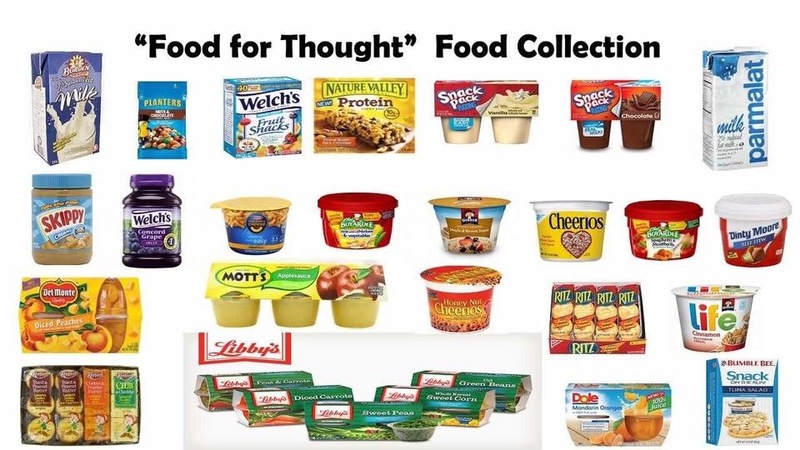 Food For Thought (FFT) is a new partnership program with Luther Memorial Church and the York Suburban School District. 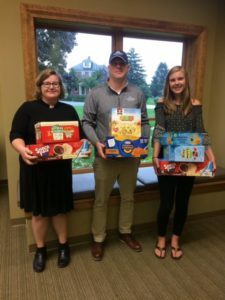 The program was launched at Valley View Elementary in September 2017 to provide a backpack filled with well balanced meals for food insecure children. The first round of backpacks were filled on September 20 and were sent home with students on September 21. The program will continue each weekend of the school year. Thanks to the generous support of the Construction Financial Management Association (CFMA) for raising $10,000 at their annual golf fundraiser in June. Monies raised were used as start-up funds for the FFT program. In addition to this funding, on September 9, 2017 the 8th Annual Girls Volleyball Black Out game raised $5,776.75 as well as 728 food items for FFT. Thanks to YS Volleyball for choosing FFT as the beneficiary of the proceeds. 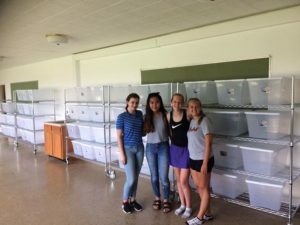 IF student volunteers worked this summer to transform a space at the Luther Memorial Church in order to house the backpacks and food for the Food For Thought program. Bret Thompson, YS class of ’97, and local owner of a Farmers Insurance business will be donating food each month to support Food For Thought. Pictured l to r: Luther Memorial Pastor Laura Haupt, Thompson, and IF President Ali Reinecker. The transformed space to house the Food For Thought program supplies. Thanks to the generous support of CFMA the backpack program is up and running!